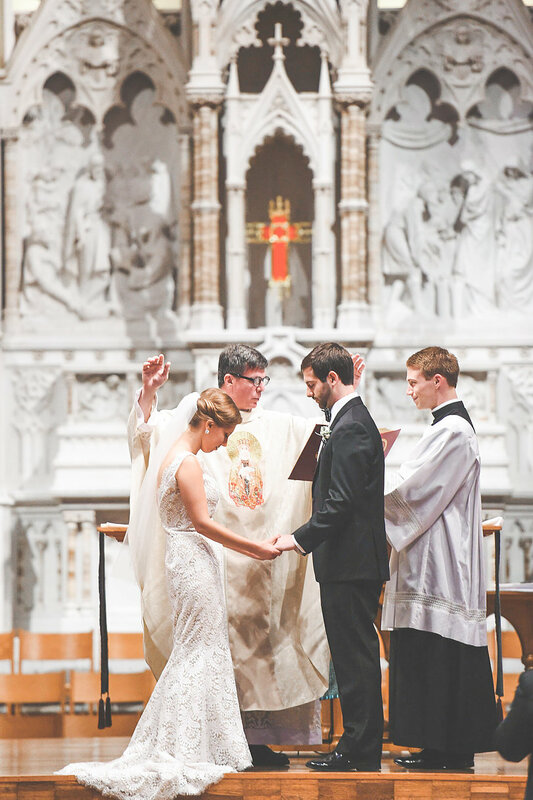 Scroll through Mel Watson's portfolio and among the images of couples walking out the doors of their wedding Mass and praying together before Our Lady, you'll spot a scapular peeking out from a neckline here, a Rosary bracelet there. And her Facebook images feature profound quotes from Scripture and the saints on love and marriage. Down to the details, this amazing photographer is undeniably Catholic. Employing a mix of simple poses and photojournalism, Mel's work is inherently breathtaking because her subjects are fixed on the Creator, who is Beauty itself, yet it's her talent for capturing true emotion that lends her images their natural-looking intimacy and immediacy. We have nothing but admiration for the way Mel views her work not just as a business, but a ministry, a calling in which she serves as a missionary of beauty. From Mel: Deeply impacted by Pope St. John Paul II's Letter to Artists and my own personal devotion to the Holy Family, I'm on a mission to help restore the beauty and sanctity of marriage and family life through photography. Beauty will save the world! My business is my ministry, so it gives me great joy to invest in my clients' lives by learning their stories and journeying with them as they prepare to enter into marriage. I put my heart and soul into each wedding I photograph, and as each moment of the day unfolds, with the tears, laughter, and prayers, I'm most likely tearing up from behind the camera, too. My home base is the Midwest--Kansas City--but am more than willing to travel for the sake of capturing a beautiful love story!